Well, the Twins fired Ron Gardenhire today, after 13 year of good and diligent service. It kind of brings me down. 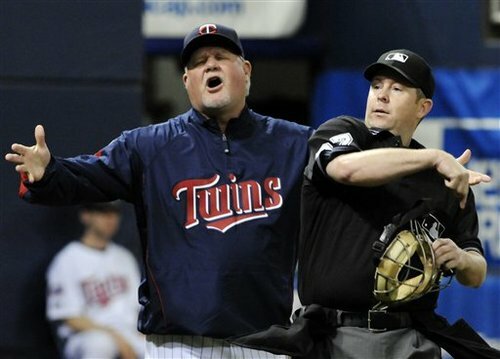 Gardy caught a lot of flack, but I always liked him. He always seemed to be a straight-talking kind of guy, who had a good perspective on the game. And I appreciated his perspective. Even today, from what I heard on the radio, it was rather a mutual “parting of ways,” and I heard Gardy say that it was time for these players to hear somebody else. Probably, after four bad years, Gardy saw this coming; I don’t think you can say that he played a major role in the four bad years, not with the players he had to work with. But he was a part of the mess, and part of the manager’s job is to get fired. That, and to get tossed out of games every once in a while. Good job, Gardy. I will miss you next season, and I hope you find another job managing. Your a guy that respects the game, and you deserve a good team and a world series. Well, the mill-city boys took it on the chin yesterday in Toledo, 6-2, a game that was not as close as it sounds, and it doesn’t even sound too close. According to our source (“special to the Journal”) the Vaunted Munch got hit around pretty good by them there mudhens, while our own wand wizards couldn’t figure out the curvaceous tosses of Mr. Cristall. Munch got a lucky hit in the third, and came around to score, but that was about it for the boys from Minneapolis. 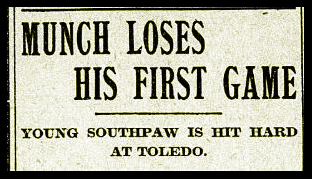 Meanwhile Munch gets pounded, gives up 12 hits, including a homer to Brouthers, (were there a lot of guys named Brouthers back then?) and two walks, and the chickens 3 scores in the fifth pretty much tell the tale. Good to see Captain Fox making an effort; I wonder when this happened in the game? Perhaps he was trying to wake the boys up? Meanwhile Bausewine is probably trying to set the tone for the season, I guess. And, good name for an umpire. It’s always nice to start the season 1-0. Any Twin’s fan can tell you that. Though we haven’t had that experience in a good many years, we imagine that the teams that are 1-0 must feel pretty good about themselves. We are well-familiar with the other side of the coin, and know pretty well how that feels. Does the man never rest? Here it is. Opening Day. And suddenly there’s a new man, a new catcher, all set to split the catching duties with our hometown favorite, Mr. Ludwig. There’s Ludwig, fighting his way through a tough spring training, coming out on top — out of no where — to claim the starter spot… and then, no. Mr. Ludwig, meet Mr. Leslie; and, oh, by the way, Mr. Leslie will be starting today instead of you. I imagine that Mr. Ludwig would feel pretty bad about that. Because: Win, baby. That’s all that matters. The name of the game is winning. You want to catch, Ludwig? You want to catch? Play better than Leslie. The end. The Millers win the game in the 9th, on a couple of Mud Hen errors. Well, that’s how pennants are won. Capitalizing on the other guy’s mistakes. The hero of the game, I suppose, was Frosty Thomas, who got the opening day start, which was kind of a surprise. We heard good things about Frosty during spring training, but nothing so effusive as what we heard about the Masterful Munch. And Frosty could easily have been the goat, as he gave up six walks along with his six hits. 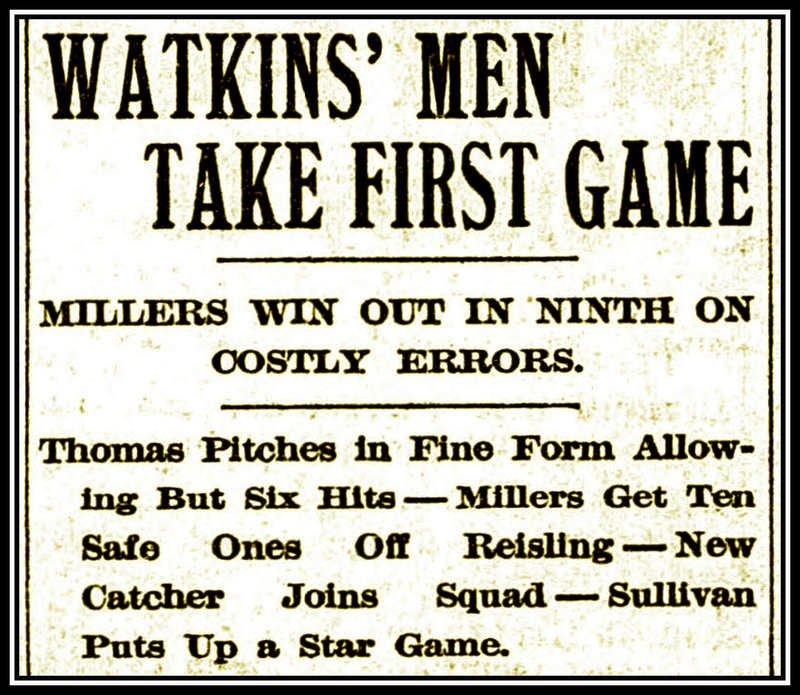 But he bore down when he needed to, and the Millers avoided the Big Mistakes, and we squeaked one out in Toledo. 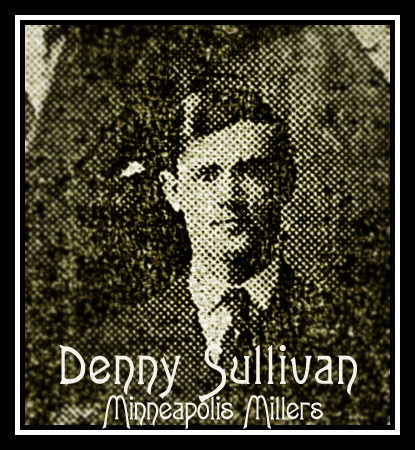 The other hero, I suppose, was center fielder Denny Sullivan — a guy we haven’t heard much about in the press. It sounds like he snagged a few line-drives that looked like hits out there in the garden, and that probably saved the game, the way Thomas was handing out free passes to the sacks. I looked about for a picture of Denny, but he seems to have been pretty camera-shy. SABR has a little biography of him, but I had to look through the newspaper archives for a picture. 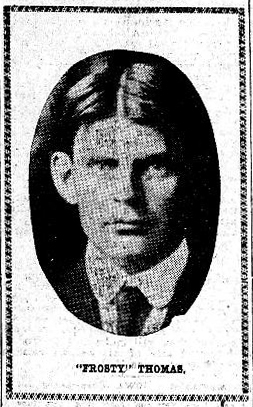 The first one I found was from the Journal in 1905, so I guess Denny sticks with the club for a while. It’s not a very flattering picture, especially for today’s slick fielding hero. So I kept looking and found a Miller’s team photo later in 1905. So here’s Denny, and I guess we’ll be hearing about him through the season. He’s fast on the sacks, they say. So there we have it. Opening day, 1-0, first place, a new catcher named Leslie, and Frosty Thomas gets the win. No, they don’t make ’em like Big Ted anymore. Ted was born in 1924, making him a lot older than me. He’d be celebrating his 90th birthday, I guess, if he was still alive, which he ain’t. Ted passed away in 1988, at only 63. Couple of things about Ted. He was a four time all-star, 1953-56, and led the majors in home runs in 1954. (With 49.) Plus he led the National League first basemen in fielding average five times. He had 15 inch biceps and cut the sleeves off his jersey because they restricted his swing. He was the hitting coach on the Big Red Machine teams of the seventies. 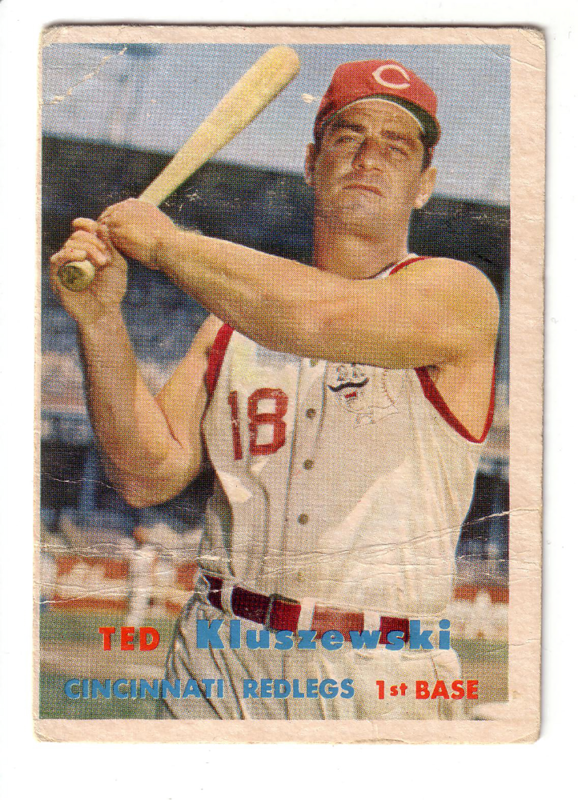 What separated Kluszewski from the rest of the musclemen was his off-the-charts discipline at the plate. 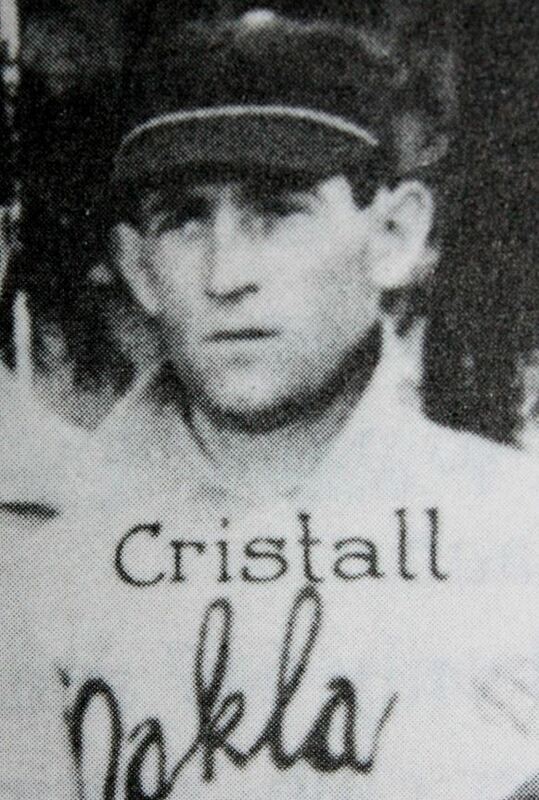 He totaled 31 fewer strikeouts (140) than home runs (171) in his four peak seasons. Of the 10 times in major-league history that a player hit at least 40 homers with fewer strikeouts, three were by Kluszewski. The others on the list: Lou Gehrig (twice), Johnny Mize (twice), Mel Ott, Joe DiMaggio, and Barry Bonds. Pretty impressive list to be at the top of. Happy birthday, Mr. Kluszewski, sir. 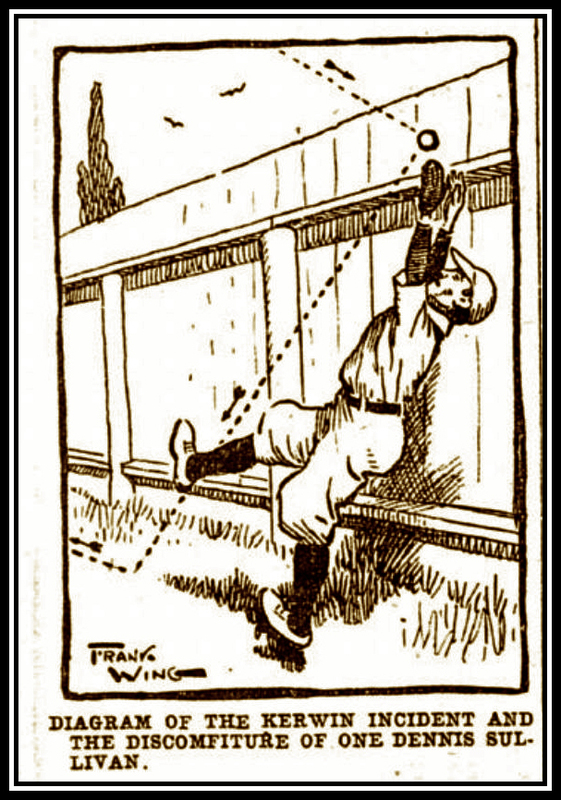 20 April 1904 – Play Ball! The Journal could show a bit more enthusiasm; Opening Day isn’t mentioned until page 18 of today’s paper. 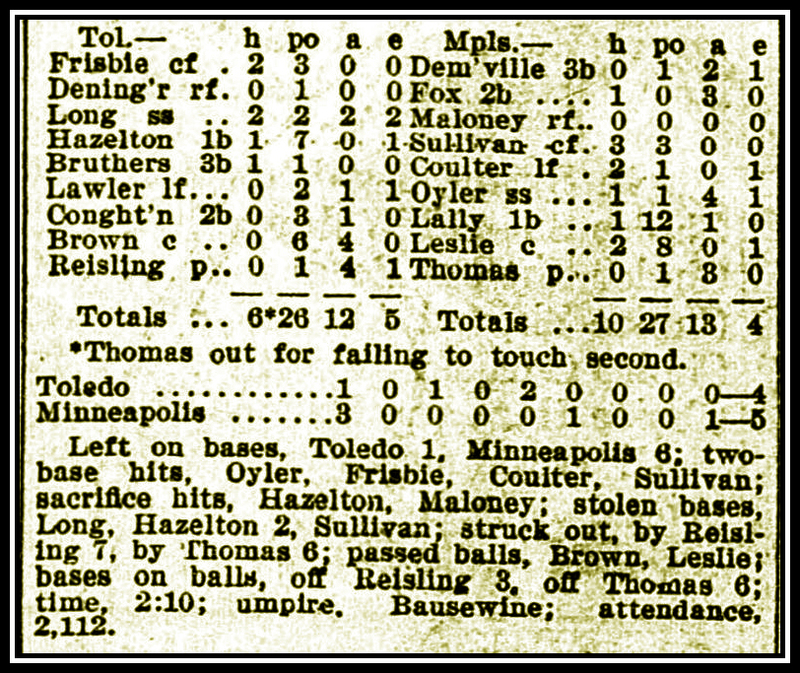 But, then again, it’s an afternoon game, and it’s in Toledo, and so we won’t actually be finding out how the game went until tomorrow’s paper anyway. Maybe then they’ll make a bigger deal of it. Toledo’s lineup has not yet been finalized. Our reporter says that the Millers’ lineup has been set for three weeks, so forget about all that last-minute maneuvering, Watty had it planned all along. The Ineffable Munch or Frosty Thomas will start the opener for the Millers. Watty probably knows which one, but wants to keep them Mud Hens guessing. All part of the plan. All part of the inner game. From our perspective It’s pretty impossible to say how they’ll do this year. Somehow I suspect that our information coming from the hometown Journal may be a bit… biased? Optimistic? Looking for another point of view, I took a look at the Indianapolis Journal of 17 April, where they look at each team vying for the American Association Crown. Now here’s a newspaper that knows how to handle Opening Day: a two-page spread, rosters of each team, schedules, a team-by-team overview. Even pictures of the Association umpires. 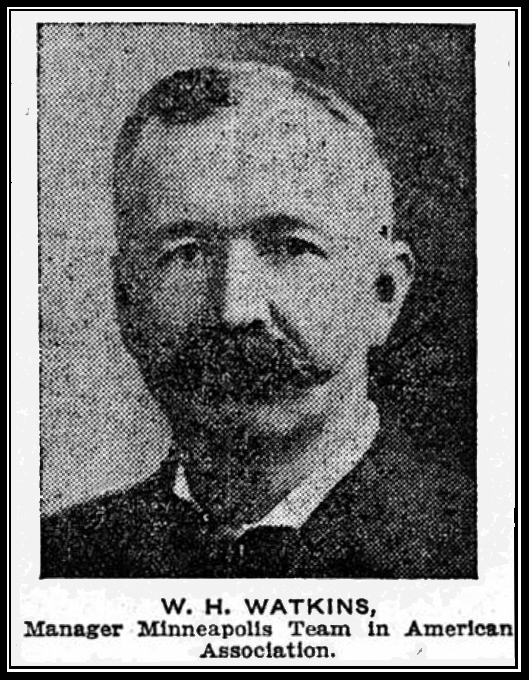 Before Watkins left Indianapolis for the greener pastures of Minneapolis he signed some hard-hitting youngsters for the 1904 Hoosiers, and a lot is expected of Dickey, Hess, and Carr in the infield. The outfield is a concern, however. There’s a hole in left field, with nobody to fill it. The pitching will be stronger this year, though, and the catching is also strong. No predictions are made by the scribe, but we all know that the Indianapolis fans will accept absolutely nothing but the best and finest, because that’s just how they are, what they’ve grown accustomed to, being from Indianapolis. “Brewers in need of good pitchers,” the tagline says, but then it also says that the general impression here is that Joe Cantillion has again gathered a first division team. 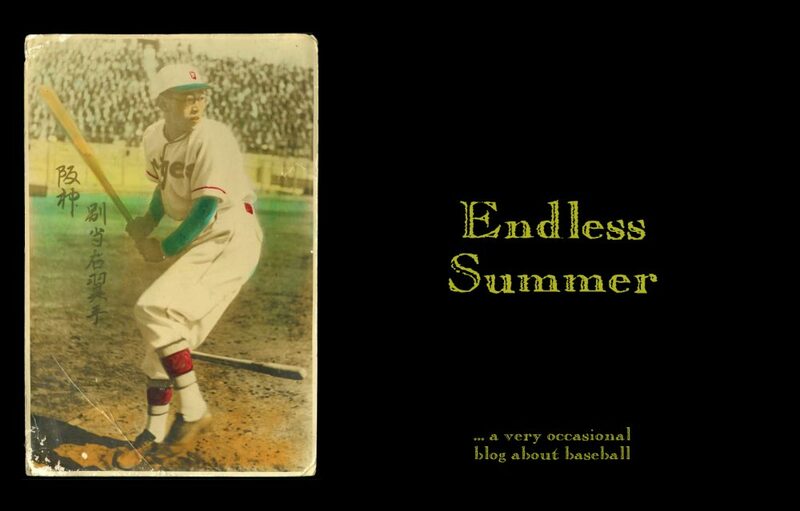 The team as a whole seems stronger, though the pitching staff seems weaker, with Elmer Meredith the only experienced twirler from last year. Several of the new pitchers are untried, and so not much can be expected, I guess. 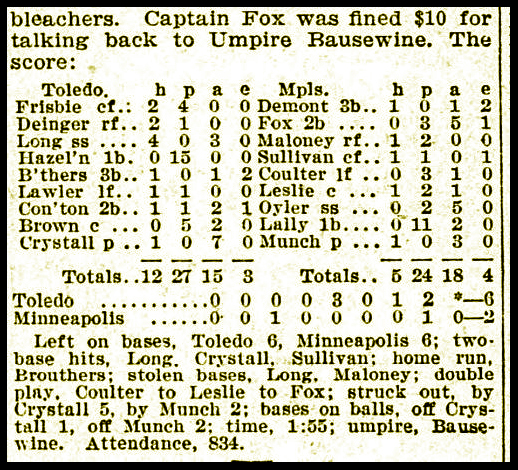 It also seems that the Brewers “…will feel the loss of Jiggs Donahue at first, Schafley at second, Unglaub at third, Ganley and Dunleavy in the outfield and Claude Elliot in the box…” In short, just about everybody. And yet the team, as a whole, seems stronger. But for the weaker pitching. 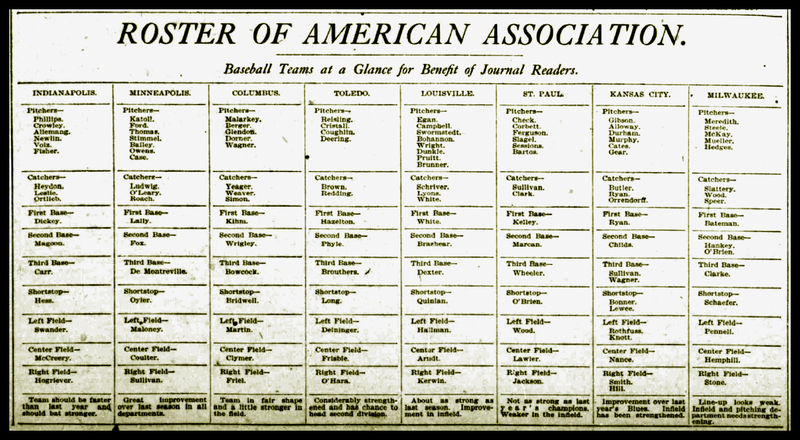 Here, for all of you 1904 American Association fans, are the rosters at the beginning of the season, courtesy of the Indianapolis Journal, which knows a thing or two about base ball coverage.